August: The smart lock company announced its HomeKit-ready doorbell camera is coming this fall, but it’s just the new lock that works with Siri for now. Kwikset: Just released it Premis series of locks that only intergrate with HomeKit. 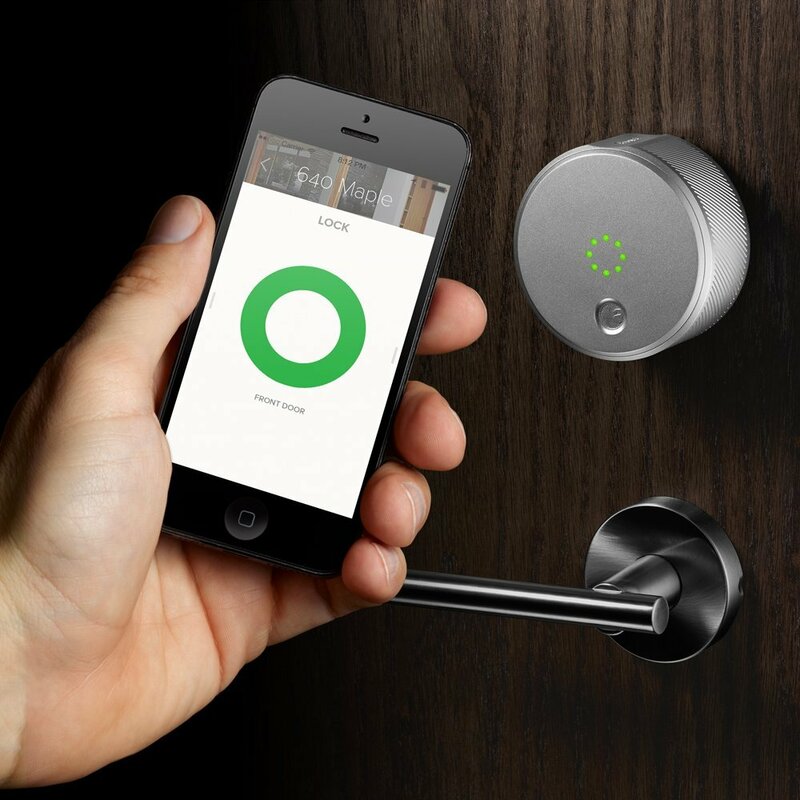 Schlage: You’ll be able to ask Siri to lock and unlock your door. Yale: A slide-in module to add HomeKit Compatibility to the Real Living line was announced at CES 2017. Slated for release in March. iDevices: Plug anything into the company’s indoor or outdoor switch to make the device smart, and control your climate with the thermostat. Leviton: The Decora Smart line was announced at CES 2017 and is shipping now. I have some of the first examples and will review them shortly. No bridge will be required. Lutron: Control your lights with its bridges and kits. Nanoleaf: Nanoleaf’s energy-efficient LEDs come in a very unique package. The Aurora and Rhythm light panel kits are available now, both support HomeKit and the Rhythm is also sound reactive. Philips Hue: HomeKit compatible with the 2nd generation bridge. Whether you want colorful or white lights, Philips Hue has lots of lighting options. ConnectSense: Make any device HomeKit-ready with ConnectSense’s smart outlet. iDevices: Plug anything into the company’s indoor or outdoor switches to make the connected device smart. 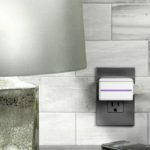 iHome: Connect ordinary devices into the smart plug, and you can start controlling them with your phone. Incipio: In addition to being a smart plug, the CommandKit outlet is an energy meter for the plugged-in device. Koogeek: This company’s smart plug works with Siri. Parce: This HomeKit-ready outlet monitors your energy use. Carrier: A HomeKit version of Côr thermostat will be released in early 2017.
ecobee: Use sensors and a thermostat to keep tabs on your home’s temp. HomeKit and Alexa support. 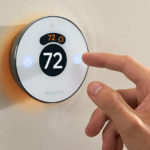 Honeywell: Get Siri to raise and lower the temperature of your home thanks to a Honeywell thermostat. Hunter: Cool down the room with Hunter’s connected ceiling fan. 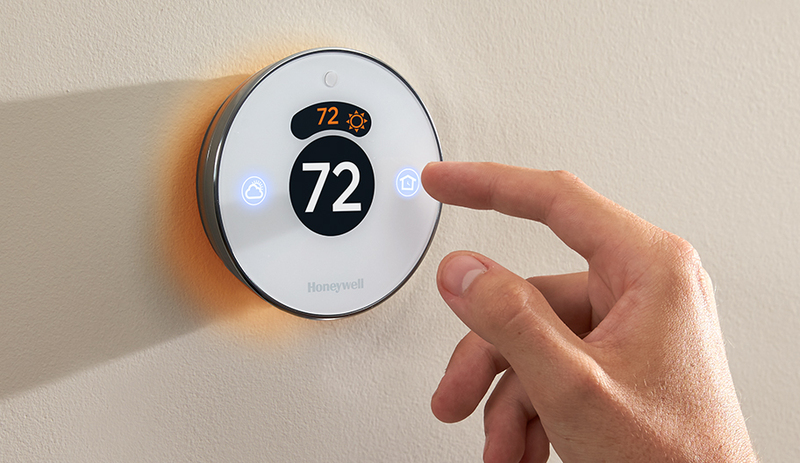 iDevices: Control your climate with the company’s thermostat. Netatmo: The U.K. has a HomeKit thermostat option from Netatmo. 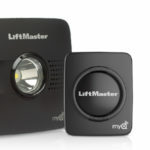 Chamberlain / Liftmaster: A smart garage device that lets you open/close, and check the status of your garage door and lights from anywhere. Elgato: A variety of Elgato’s Eve sensors will give you all kinds of information about what’s going on inside your home. 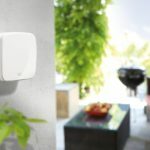 Fibaro: HomeKit versions of their popular sensors were announced at CES 2017. They can be pre-ordered on Amazon using the links below. First Alert: The first smoke detector to work with HomeKit comes from First Alert. Netatmo: Announced their own smoke detector at CES 2017, expected soon, more details to come. Insteon: The company’s hub can control all its products, including lights and locks, even from outside your home. Canary: Later this year, Canary will release a new version of its home security camera, which will work with HomeKit. Cree: LED lightbulb maker Cree introduced its connected bulb at CES. 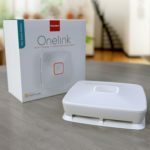 D-Link: A new HomeKit compatible D-Link camera, the OMNA 180, is due out early this year. Friday Smart Lock: This Indiegogo project is a HomeKit-compatible lock, according to the company. 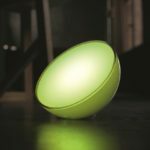 GE: Its color-changing LEDs will work with HomeKit, according to a May 2015 press release. There have been no updates since. Haier: Apple announced the appliance maker as a partner at WWDC 2014 and already has a compliant smart air conditioner. Lifx: On its site, Lifx says its HomeKit support will be released “as soon as possible.” Slated by mid-2017. Kuna: Once HomeKit gets camera support, Kuna’s outdoor security camera will be one of the first devices of its kind to work with it. Osram Sylvania: Another lighting company that, like Cree, was on the partner list when Apple first announced HomeKit. SkyBell: You can see the Wi-Fi doorbell company’s name on the list of Apple’s partners at the WWDC keynote. Tado: Its HomeKit-compatible smart thermostat is due out this fall. 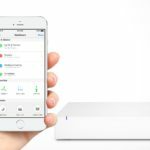 Withings: According to Apple’s WWDC 2014 partners list, Withings could bring its baby monitors, scales, and other smart devices to HomeKit.